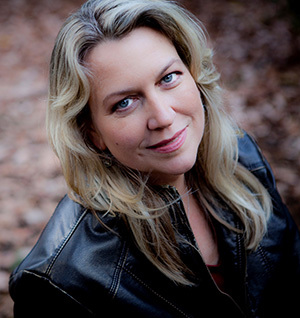 Organizers of the Thursday, March 22 appearance of best-selling author Cheryl Strayed at the University of Wyoming say those who attend her public lecture and book signing are in for a treat. 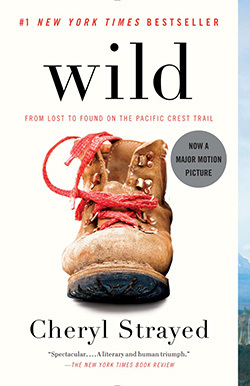 Strayed, whose memoir “Wild” resulted in an Oscar-nominated movie adaption starring Reese Witherspoon, will speak at the UW College of Arts and Sciences auditorium at 5 p.m. Doors will open at 4 p.m. There are no tickets for this event; it is free and open to the public. The book signing will be hosted by the University Store after the lecture in the Arts and Sciences Building lobby. Strayed also will participate in two question-and-answer sessions with students in English and creative writing during her visit to UW. UW’s Departments of English and Visual and Literary Arts, with the support of the College of Arts and Sciences dean’s office, sponsor the author’s appearance. “Wild” was a No. 1 New York Times best-seller and was adapted into an Oscar-nominated movie. “Wild” was a No. 1 New York Times best-seller, chosen by Oprah Winfrey as her first selection for Oprah’s Book Club 2.0. The movie adaptation also stars Laura Dern as Cheryl’s mother, Bobbi. The film was directed by Jean-Marc Vallée, with a screenplay by Nick Hornby. Strayed also is the author of New York Times best-sellers “Tiny Beautiful Things” and “Brave Enough,” along with the novel “Torch.” Her books have been translated into 40 languages, and her essays have been published in The Best American Essays, the New York Times, the Washington Post Magazine, Vogue, Salon, The Sun, Tin House and elsewhere. Strayed is the co-host, along with Steve Almond, of the WBUR podcast “Dear Sugar Radio,” which originated with her popular “Dear Sugar” advice column on The Rumpus. Strayed holds an Master of Fine Arts in fiction writing from Syracuse University and a bachelor’s degree from the University of Minnesota. She lives in Portland, Ore.